Far Eastern Republic (Дальне-Восточная Республика; Dalne-Vostochnaia Respublika). 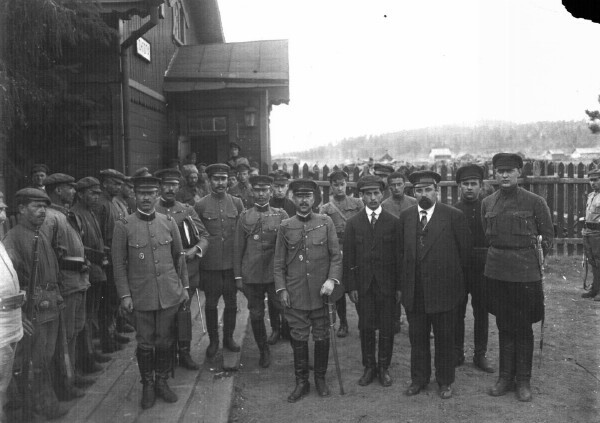 A democratic state set up in April 1920 in the Far East (including the Trans-Baikal region) as a buffer state between Soviet Russia and Japan. Its territory covered about 3,000,000 sq km, and its population was about 2,000,000. The constituent assembly of the Far Eastern Republic, which met from 12 February to 26 April 1921, consisted of 351 delegates, of whom 41 were Ukrainians. In accordance with the constitution, the Ukrainians received special rights and their own minister. The republic was occupied by the Red Army and ceased to exist on 10 November 1922, when its parliament was forced to adopt a resolution of unification with Russia.